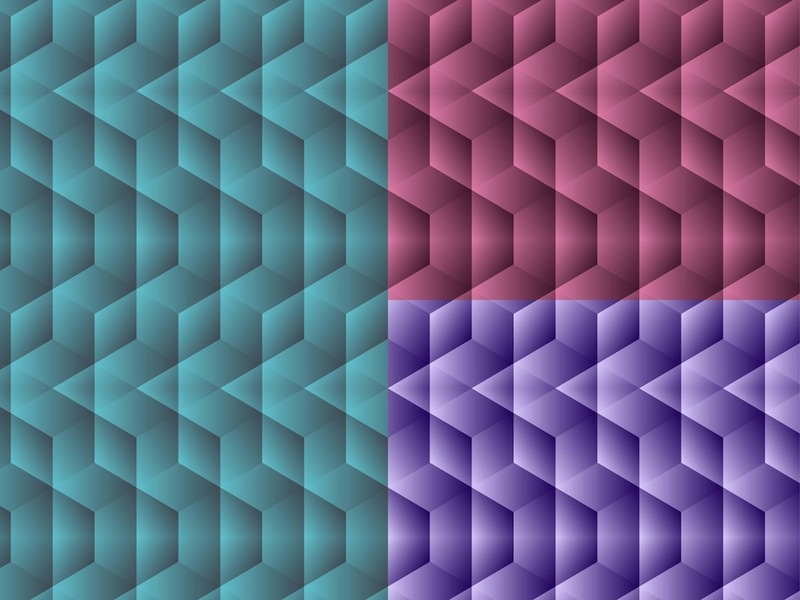 Cool vector graphics of a seamless geometric pattern in different colors. Various geometric shapes used to form the pattern, colors and shading creating a three-dimensional feel. Free vector patterns to use in all your wallpapers, backgrounds, backdrop images, posters, flyers and clothing prints projects. Tags: Abstract, Backgrounds, Colors, Seamless Patterns, Wallpapers.